1. Even if your team isn’t playing, the Super Bowl provides plenty of fun. We’re looking forward to the commercials and the halftime show starring Katy Perry. Tune in February 1st on NBC. 2. New York Fashion Week kicks off on February 12th and we can’t wait to see what the street style has to offer. 3. Be prepared to binge as the political power couple, Claire and Frank Underwood, returns for season three of House of Cards on February 27th. 4. Brought to us by the Guilty Girls Group, the 3rd annual Guilty Girl’s Warehouse Sale is February 6th-8th. The sale benefits non-profits serving woman & children in our Delaware Community; buy your tickets here. 5. Hosted by the lovable and extremely talented Neil Patrick Harris, the Oscars are on February 22nd. Of course, the real show starts on E’s red carpet. 6. We’re loving Voluspa’s Yuzu Rose Stonecrop candle, which smells of rose and citrus. 7. & 8. In the spirit of Valentines Day and the release of Fifty Shades of Grey (out February 13th) we plan to treat ourselves to a new, red hot Cosabella set, because why not? 9. Who will take home the most Grammy’s this year? Find out on February 8th on CBS. 10. 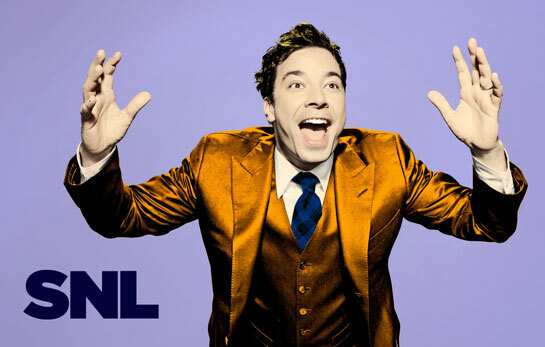 Saturday Night Live turns 40 this year and will air an anniversary special on February 15th. We hope to see classic skits and the return of some favorite characters. This entry was posted in Worth Noting and tagged entertainment, events, february, mood board by Lauren. Bookmark the permalink.